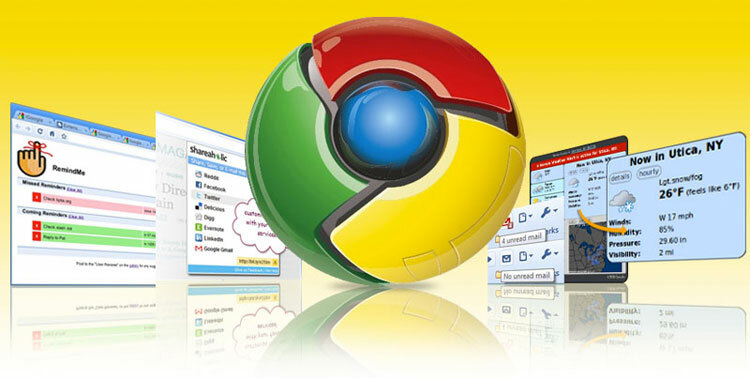 Google Chrome has definitely become one of the most popular browsers over the last few years. With a slick and simple user interface and a fast and secure browsing experience, it’s no wonder Chrome is dominating the internet. One of the best things about Google Chrome is the fact it comes with extensions that are ready to use on any device you login to. This means that wherever you are working from, you can operate at the same productivity levels. There are often occasions when you stumble across an interesting article or link on the internet that you really want to read, but simply don’t have the time. This is where the Pocket extension comes in very handy. Whenever you want to save something to look at later, you simply need to click on the extension and it will automatically add it into your pocket app and sync with any other devices that you use – even if you don’t have an Internet connection at the time. The Evernote Web Clipper is a great way to save and share anything you see online. There are lots of different things you can do using this extension, including marking pages of interest and taking screenshots. Evernote is a very popular service, as it helps you to remember things, organise plans and share documents with other people. It can often be hard to keep track of everything you see and do online, especially when you are doing research on a particular topic, so this extension comes in really handy for creating and organising projects. When you have searched for a term and been presented with a number of search results, it can often be frustrating when you have clicked through to a page and have to spend ages just searching through blocks of text to find the bit relevant to your search query. The Quick Scroll extension will show you how many areas of the page are relevant to your search terms and allow you to jump straight to them, saving you a lot of time and effort and helping you find what you’re looking for faster. This award winning password management service keeps all of your passwords safe and allows you to access all your favourite sites from a range of different devices without having to worry about security. With all the different sites we use in day-to-day life, it can be hard to keep track of all your different usernames and passwords. With this fantastic extension you only need to remember one master password, meaning you don’t have to write them all down separately or keep them in a spreadsheet somewhere. The main way you can be productive is to do everything that needs doing. But what if you can’t remember exactly what it is that needs doing and when it needs doing by? There are a lot of reminder services available, but Any.do is one of the best. With an award-winning app already under their belt, Any.do now have Chrome compatibility, meaning you can check up on your to-do list at any time. With a simple drag and drop agenda plan and a feature that turns emails into actions, you will never forget to do something again. If you need a quick screenshot of your computer, then this extension is for you. It allows you to capture and annotate screenshots in many different ways, so you can simply take only the selected area that you need. Using different shapes and lines you can write comments on your screenshots and use arrows to point to certain areas if you need to show them to someone. It also provides an eraser to hide any sensitive information you may have captured such as names and phone numbers. Although Google Chrome does actually come with a built in dictionary, it isn’t directly accessible from the page you are on. This dictionary extension will help you to find the definition of a word using just one double-click. Once the extension is installed, you need to go into the “options” and enable “Display pop-up when I double-click a word”, then each time you want the definition, a little bubble will pop up with the meaning of the word and any other information available. Have you ever found yourself on a website reading articles for hours on end by mistake and wondering where the time has gone? The timeStats extension can help you to work out where on the web you are actually spending your time. With a handy dashboard, you can select the sites you want to track and then view a range of different statistics either daily or monthly. You can categorise the sites you visit and find out which are your most visited domains and how long you spend on each one. In terms of social media management, Hootsuite is one of the best platforms available. If you have Google Chrome and regularly use Hootsuite, then this extension is a must-have. The Hootlet extension sits just to the right hand side of the address bar and allows you to share and autoschedule any content you find on the Internet. You can choose which channels you want to share it from and Hootlet will do the rest. When you are trying to do two or three different things on the Internet at the same time, shortcuts can come in really handy, especially when you can do them by just holding down the right mouse button and making a quick gesture. This extension is really easy to use and once you learn how to do the pre-defined mouse gestures, you can even learn to create your own. The gestures can help you to quickly open up a new tab, go back or forward a page and also refresh the contents of the page you’re on.